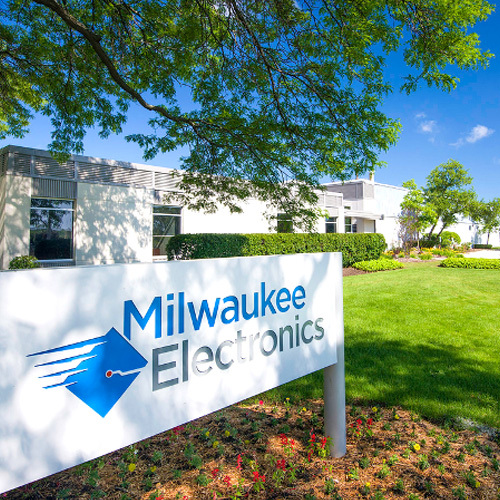 For over 60 years, Milwaukee Electronics has been helping our customers create better products by developing solutions for a number of electronic design, embedded systems, and industrial controls projects. Over that time, we have gained valuable experience from the challenging problems our customers face in their varied and diverse fields. From this, our team has built a depth of capability from a foundation of practical knowledge that extends beyond the engineering competencies of most similar-sized competitors. Recently, we asked ourselves an important question: how can we continually drive and improve our processes to better help our customers fill potential gaps in their own product design teams? With the goal of illustrating several ways in which our team is answering this question, let’s look at a real world example of how Milwaukee Electronics provided key support to a construction equipment manufacturer, allowing them to overcome two critical design challenges for their products. The manufacturer of commercial-grade construction equipment came across an unexpected defect in the safety shutoff system for one of their devices. The product, a large manually operated concrete finishing trowel, features a large trowel blade powered by a gasoline engine. With their experienced mechanical engineering team having worked on the initial design, the original safety switch featured an interlock system requiring that the operator keep both hands on the machine handles during operation. Operators of the machines had discovered a way to defeat the handle sensors in an effort to bypass the built-in mechanical safety switch – allowing them to operate the machine with only one hand, creating safety hazards. The customer looked to our design team for help in creating an effective electromechanical solution. As part of the redesign effort, it was necessary to research and evaluate multiple potential design concepts that could be used to devise the most effective solution. For this, Milwaukee Electronics provided the customer with a preliminary development quote which included the selection of an off-the-shelf plastic enclosure aimed at reducing tooling investment costs. Furthermore, part of the project launch process involved a visit from our engineering team to the customer, in order to observe the product undergoing use with the compromised safety interlock. Also at this time, the team carefully analyzed the initial electro-mechanical design created by the customer, looking for any potentially beneficial elements that could be re-applied into the new design. Members from both engineering departments along with product management team personnel from the customer then held a joint brainstorming session. Based on the results from that discussion, it was concluded that researching an accelerometer solution and a gyroscope solution could both lead to a workable fix. Samples of each unit type were then obtained, and both devices were bench tested – so that the results could be compared. After analyzing the results from both tests, the gyroscope device was selected as the better option because it offered a faster response time in halting a spinning trowel handle within 270° of travel. 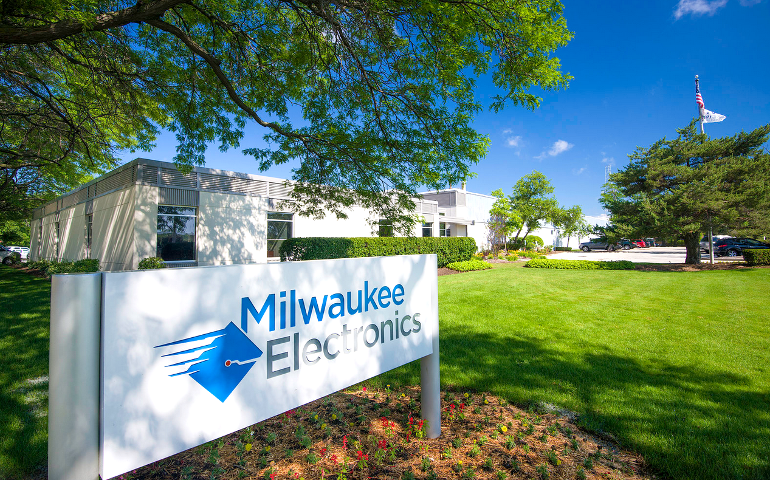 After the product specification was finalized and approved, the Milwaukee Electronics team completed the development of a full hardware, software and mechanical design. The building of prototype units, their tooling, and various stages of product verification testing were also supervised and successfully completed by our team. For the solution, Milwaukee Electronics paired a single plane gyroscope to a small microcontroller, both of which are mounted onto the machine’s horizontal frame. The microcontroller unit ignores the back and forth swinging action experienced during normal operation of the machine, while simultaneously monitoring its horizontal rotation. The control watches for the slight increase in rotational acceleration brought about when one of the handles is suddenly released by the operator, then snubs the engine spark – causing an RPM sensitive braking system to activate within a single revolution. Once the prototype unit was assembled, it was ready for preliminary testing. This led to the discovery of a timing problem within the control unit that was adversely affecting performance. The response delay of the gyroscope was unable to meet the stopping time requirement necessary to shut down the system in the acceptable window. For this, the team implemented a pre-emptive snubbing software algorithm. The microcontroller was programmed to monitor the gyroscope movement data for small amounts of acceleration. Upon detecting an increase, the controller snubs selective levels of engine sparks in order to ‘prepare’ for a shut-down. This corrected the delay time issue, and the team determined that engine run performance was not affected by the pre-emptive action – the control is in essence “looking ahead” in preparation to fully snub the spark. The final design step was to protect the control from vulnerability to harsh physical elements and the extreme engine temperatures it will be exposed to during use on a construction job site. 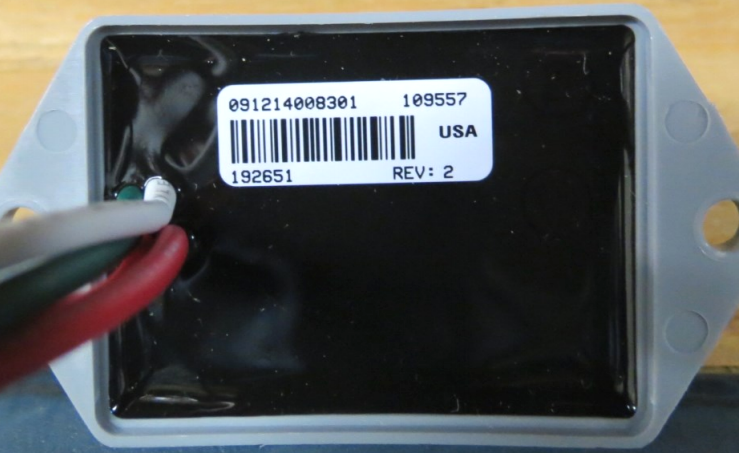 To address these issues, a custom potting cup enclosure was designed by Milwaukee Electronics to house the control unit, which is then sealed with an epoxy resin to protect the circuit board assembly from environmental hazards. The new control eliminated the ability for an operator to manually deactivate a critical safety circuit within the machine. Our team created an effective solution to solve a tricky problem for our customer that was at first unaddressed by the original design. Subsequently, the customer then approached Milwaukee Electronics for help with a similar project which required the development of a slightly different type of control for a ride-on version of their automated concrete trowel product. Unlike the walk-behind unit, in this case the operator maneuvers the equipment using two joy sticks which are interfaced into a steering computer – similar to the type of system used for operating a tank. It was discovered that when the machine was used near a straight surface edge, it often became difficult for the operator to maintain a perfectly straight line during forward travel. Using the previous gyroscope control design model as the basis, Milwaukee Electronics’ engineering team was able to heavily leverage this unit to develop another custom-designed embedded system microcontroller solution for the customer. For the solution, an upgraded gyroscope control was developed and mounted to the ride-on trowel machine’s frame in a horizontal position. This unit provides data to the steering computer which assists in tracking to a straight line up until the moment that an operator moves one of the joy sticks to change direction. Utilizing the previous design model helped to significantly reduce the total engineering development costs needed, and adequately addressed the customer’s challenge by providing a quickly implementable solution. Our experienced team of engineers successfully addressed both an important safety issue and managed to add valuable product functionality for the customer, helping to improve their equipment’s overall performance. In the future, watch for additional engineering-related blog posts that continue to focus on how Milwaukee Electronics is creating other microcontroller-based customized embedded systems solutions that help our customers succeed.